Hydrogen is the lightest and most common element in the cosmos. Its atomic number is 1. In its elemental state, hydrogen is rare. But it is one of the components of water and vital to life. It is primarily used to create water. Hydrogen gas can be used for metallic ore reduction. Chemical industries also use it for hydrochloric acid production. The same hydrogen gas is required for atomic hydrogen welding (AHW). Electrical generators use the gas as a rotor coolant. The element is relied upon in many manufacturing plants to check for leaks. Hydrogen can be used on its own or with other elements. Other applications include fossil fuel processing and ammonia production. Ammonia is part of many household cleaning products. It is also a hydrogenating agent used to change unhealthy unsaturated fats to saturated oils and fats. Hydrogen is also used for methanol production. Tritium is generated in nuclear reactions. It is a radioactive isotope used to make H-bombs. It can also be used as a luminous paint radiation source. Tritium is used in biosciences as an isotopic label. The element is often used as fuel because of its high calorific value. Combustion generates plenty of energy. Hydrogen fuel cells generate electricity from oxygen and hydrogen. These electrochemical cells generate only water vapor so it is considered as environment friendly. Fuel cells are used in spacecrafts, remote weather stations and submarines. When in liquid form, it is used as rocket fuel. Deuterium is heavy hydrogen. This isotope is used for nuclear fusion reaction in nuclear reactors. Because hydrogen is light, scientists are able to use it with weather balloons. 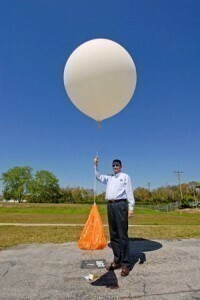 Meteorologists’ weather balloons have this element installed. 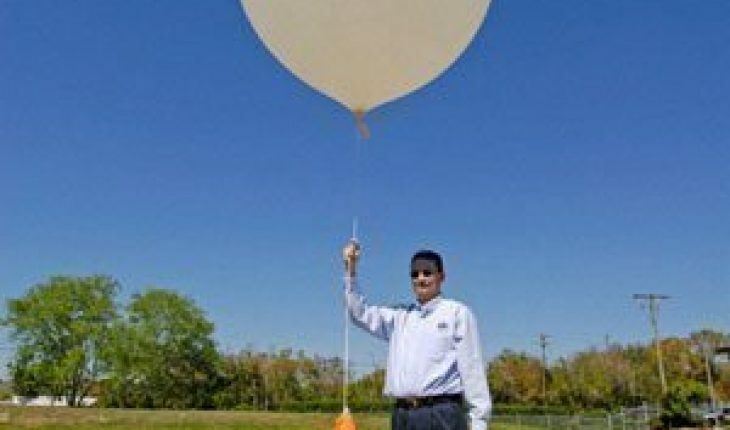 These balloons are fitted with equipment to record information necessary to study the climate. During the First World War, these were utilized in balloon airships. Other uses of hydrogen are in the fertilizer and paint industries. It is also used in the food and chemical industries. Food industries use the element to make hydrogenated vegetable oils such as margarine and butter. In this procedure, vegetable oils are combined with hydrogen. By using nickel as a catalyst, solid fat substances are produced. In petrochemical industry, hydrogen is required for crude oil refinements. Welding companies use the element for welding torches. These torches are utilized for steel melting. Hydrogen is required as a reducing agent in chemical industries. Chemical industries use them for metal extraction. For example, hydrogen is needed to treat mined tungsten to make them pure. This element is used for producing several chemical compounds. Apart from ammonia, hydrogen can be harnessed in other ways. It can be used to make fertilizers, hydrochloric acids and an assortment of bases. The same element is required for methyl alcohol production. Methyl alcohol is used in inks, varnishes and paints. Hydrogen peroxide is another vital compound. Hydrogen peroxide is used in many ways. First and foremost it is used for medication. It is included in most first aid kits. It is primarily used for treating wounds and cuts. Peroxide is also a toenail fungus disinfectant. Hydrogen peroxide can be diluted in water. It can kill bacteria and germs if used as whitewash. The same element can be used for teeth whitening and canker sores treatment. Hydrogen peroxide can be used in non-medical ways. Other applications include a pest controller in gardens, removing stains on clothing and functioning as a bleaching agent for cleaning homes. The element is produced in several ways. They can be harvested to be used as hydrogen fuel cells. It can also be generated via industrial processes. Other methods include bio hydrogen production, thermolysis or electrolysis. Hydrogen pinch and steam reforming are also used by many industries. The most common technique for harvesting the element is steam reforming. Steam reacts with methanol to generate carbon monoxide and hydrogen. This process is done at high temperatures. When the temperature is set down, carbon monoxide will be produced. It can produce carbon dioxide and hydrogen. The efficiency rate is around 75%. Pinch is another technique. This method moves the element through the hydro cracking sections. The objective is to produce the final procedure so no more hydrogen is emitted. Any hydrogen generated is stored. They are used for other means. These are used for hydrogen production for industrial uses. The method is also known as water splitting. In this method, hydrogen and oxygen molecules are separated using electric currents. Heat is not necessary for electrolysis. However, high temperatures will produce better hydrogen yields. Sometimes urine is used in lieu of water. Many uses of hydrogen rely on this method. There is also bio hydrogen. The element it produces is useable. The process includes electrohydrogenesis, enzyme reactions and fermentation. With fermentation, biological materials are destroyed.